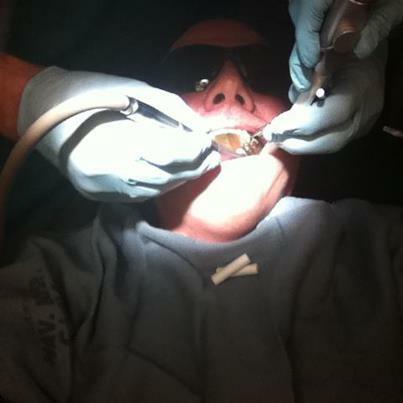 Today was my first visit to the dentist to repair a new cavity in well over a decade. When I found out last week that I had a cavity I was taken by surprise. I was less surprised that a couple of old fillings were deteriorating and needed to be replaced. So I set up an appointment with my colleague and occasional drinking buddy George at our hospital dental clinic. Now those people that know me know the trepidation that I approach visits to the dentist. 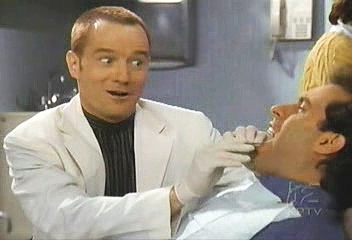 My first dentist in Oak Harbor Washington was a bit of a sadist, something like an old, balding and bespectacled version of Steve Martin’s dentist in Little Shop of Horrors. It was decades before I began to go to the dentist without the feeling of absolute dread and terror, despite the fact that I never had to suffer a dentist like him ever again. Today I went to get my new cavity fixed and one of the two old fillings replaced. George and his crew were good. It was not an unpleasant experience, despite the fact I would rather be almost anywhere than in the dentist chair. This was really an important event for me because I used to be an Anti-Dentite. They worked so well that I didn’t have time to play with the chair controls as is my custom. I tend to want to play with the chair and other equipment if they are not attentive. However I was able to take out my I-Phone, play a few games of Angry Birds as they worked and even take some pictures of the work in progress. I think that the young technicians figured that something must be seriously wrong with me, and they are right. In a sense I am not right, but one of the ways that I cope with going to the dentist, or any other unpleasant experience is to use humor and absurdity to make light of the experience and to keep my mind off of the pain. Thankfully, George who knows me made no complaint. Thank God for modern technology. So anyway may your night be good and your teeth free of pain. This is for all of those who just love going to the dentist. 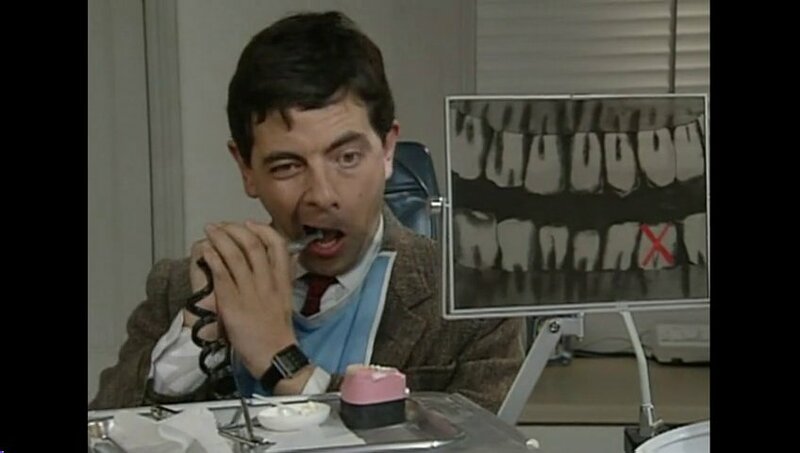 I have included links to Steve Martin’s “Dentist Song” from the “Little Shop of Horrors” and Rowan Atkinson as “Mr Bean” going to the dentist for some laughs. I believe that most people have at least one horror story from going to the dentist. Even Judy, the Abby Normal Abbess who loves going to the dentist has one story where she had a tooth drilled and filled without anesthetic when the Army dentist refused to give her a topical. When I was a kid we lived in Oak Harbor Washington. My dad was stationed at the Naval Air Station and as a young grade school kid I got to pay a visit to the local dentist, in fact if I recall the only civilian dentist in town at the time. Back in those days when a “baby” toot came out the “Tooth Fairy” would leave a quarter or fifty cents under the child’s pillow. It was a pretty cool deal. Lose a tooth get money new tooth grows back in. Unfortunately back then in the days before fluorinated water or great detail education kids got lots of cavities. Now in our town we had I think only one dentist. Active duty people went to the Navy Dentists on base, but dependants went to civilians. Back in those days dentistry was one step above being a KGB interrogator. It was painful, and if perchance you had a dentist with a mean streak it could be really really ugly. This happened to be the case in our sleepy little town where Dr. Josef Mengele had disguised himself and entered the dentistry field. Our little Dr. Mengele was a tad bit on the cruel side. 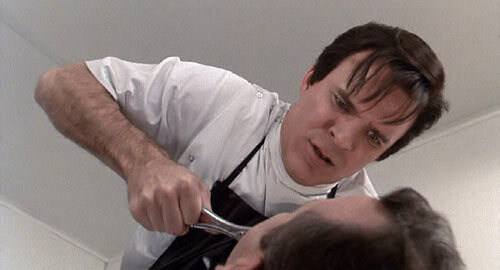 The guy, to use the Steve Martin Little Shop of Horrors dentist terminology “got off on the pain he’s inflict.” Of course this was in the days before topical anesthetics. Dr. Mengele would make sure that the gleaming steel syringe was visible all the way into your mouth and drive it in hard. After inflicting the maximum amount of pain possible he would go away and wait for the anesthetics to wear off. As they lost their potency he would come back in, pull the start cord on his gas powered drill,…no not really he would start playing with the drills and drill bits in front of my terror stricken eyes waiting for the very moment the anesthetics to wear off to begin to drill, using what I am sure were 1930s vintage drill bits. As I, and other kids down the hall screamed bloody freaking murder he would drill in hard. In fact he wouldn’t waste an opportunity. When we were about to leave town when dad was transferred Dr. Mengele took one last shot and found five “new” cavities. By the time I was done even the sound of any drill would send chills down my spine and cause my heart to race…this remained the case for well over 20 years and it took several really good guys and gals who served as dentists to help me get ver what was by Junior High School a nearly pathological aversion to dentists. The turning point was when I was a student at Cal State Northridge back in 180 and had to have an emergency root canal when a nerve abscessed under some of Dr. Mengele’s work. I went to Dr. Brent Meinhart DDS who happened to have a sign that read “painless dentist” on his door. I was not impressed and could not believe that this could be the case. However, the pain that was rocketing through the top of my skull convinced me that even if the good doctor was lying about this painless crap that something needed to be done. To my surprise and bewilderment the man and his staff worked to make this as painless as possible. He did such good work that nearly 30 years later the root canal, restoration and crown still amaze other dentists with their quality and longevity. I have been very lucky in that I have had no new cavities since before high school and only work to repaired badly done fillings from my childhood, many put there by Dr Mengele. So what this, why me, why now? Right? Here’s the deal. A molar of mine began to hurt a few days back. By yesterday evening it was throbbing like a bass player in an AC/DC concert. I knew that my streak of great dental health had be hit hard. Today I went to our dental clinic at the medical center where I spent the next five hours. A lot of this was because the dentists needed to consult each other as the injury to my tooth was relatively complicated, a fracture ran through it from top to bottom. The nerve was beginning to abscess and I knew that this could not be good. During the time where staff was trying to figure out which tooth was the offending one, I issued several blood curdling screams which were heard throughout the department. After what seemed like unending consults by a number of specialists a root canal was decided upon although one dentist wondered if the tooth was even salvageable. They went to work, killed the tooth and killed and not a moment too soon after soon. The dentist who actually did the work as well as the techs discovered during this time that I was the screamer. Thankfully these works worked very hard to ensure that I was as comfortable as possible during the procedure and were not like old Dr. Mengele at all. Now I still have a couple more appointments to finish this adventure, but from the experience I had today I know that it will not be as bad as the examination yesterday. Thankfully the good dentists that worked on me worked hard to make a painful procedure much more bearable. 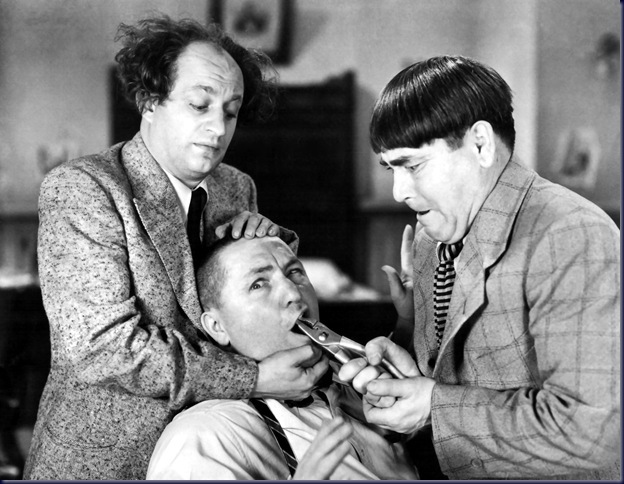 Dentistry has come a long way since the days of Dr. Mengele. God bless the folks who worked on me. Anyway, tonight I was inducted into the Gordon Biersch “Stein Club.” That is kind of like the local micro brewery hall of fame. However, that is a story for another day.